BUCHAREST, Romania (AP) About 20,000 people have turned out to applaud Simona Halep for becoming the first Romanian tennis player in decades to win a Grand Slam singles title. The fans gathered on a hot Monday evening in Bucharest’s giant National Arena to see Halep show off her French Open trophy. But when Bucharest Mayor Gabriela Firea appeared on stage next to Halep, the cheers turned into jeers. The No. 1-ranked Halep beat Sloane Stephens 3-6, 6-4, 6-1 in the final in Paris on Saturday. It was her first major singles title after losing three previous finals, including in January at the Australian Open. 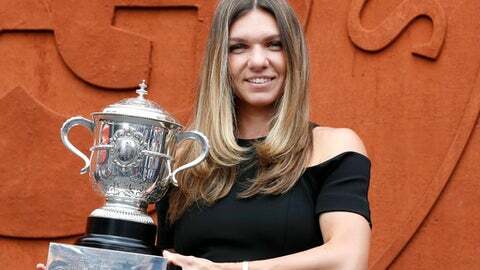 Halep is the first Romanian to win a Grand Slam title since her manager, Virginia Ruzici, won the French Open 40 years ago, and the third overall.